Zulpikar got the real taste of Vijender of yore, when he landed a straight right followed by a left uppercut flush on his face. The legend of Vijender Singh continued to grow as the Indian boxing star outslugged his Chinese opponent Zulpikar Maimaitiali in a close bout to retain the WBO Asia Pacific Super Middleweight title here tonight. 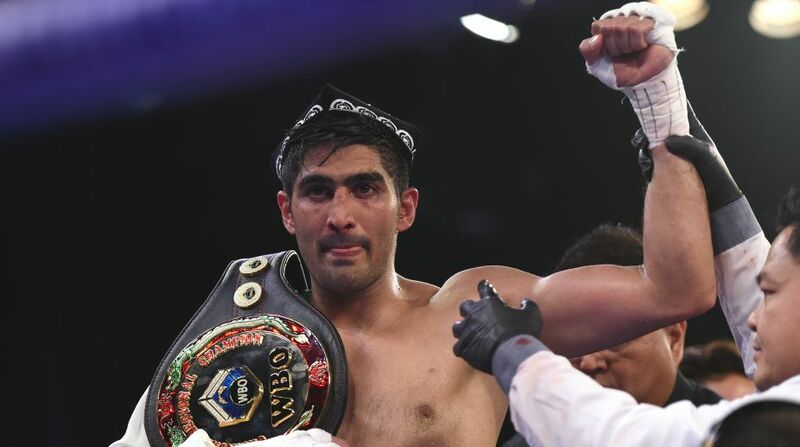 It was double delight for the fans as Vijender also snatched the WBO Oriental Super Middleweight title from the Chinese, who is nine years younger to him. It was the 32-year-old Beijing Olympic bronze medallist's ninth successive win in his professional career. While Vijender had commented that 'Chinese products don't last long' but Zulpikar managed to squueze every ounce of his opponent's energy. "I didn't expect him to fight so well and last the distance," Vijender said after the bout. Using his height and greater reach to good effect, Vijender most of the time had the better of exchanges with his straight ones and hooks landing flush on Zulpikar, whose blows didn't have the desired effect. Zulpikar took the chance to attack but Vijender's tight defence, despite jaded legs, helped him.